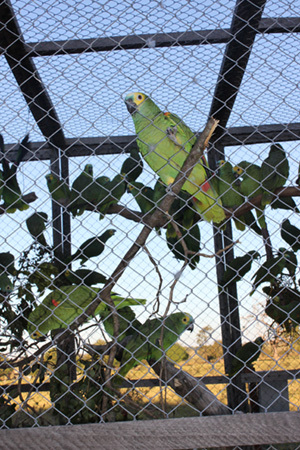 With the help of World Parrot Trust-Brazil and other Brazilian partners, SOS Fauna will be releasing over 60 Blue-fronted Amazons (Amazona aestiva) back to the wild in the savannahs of Mato Grosso do Sul later this month. 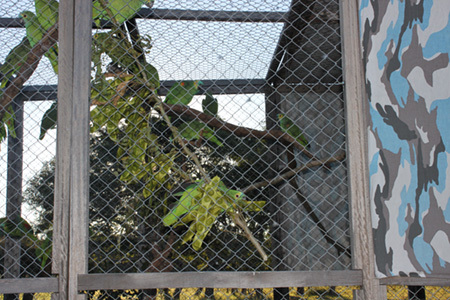 The birds were confiscated as chicks in 2006 and sent to SOS Fauna's rescue center to recover. They are now full grown, healthy birds that will be able to breed, thanks to some nest boxes that will be up in the area. 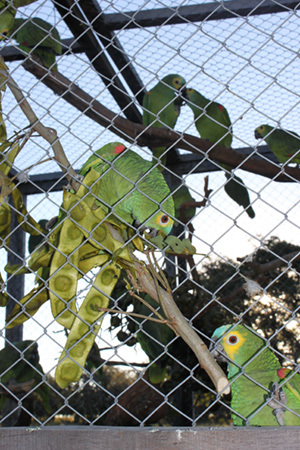 SOS Fauna's mission is to help stop wildlife trafficking in Brazil and return rescued individuals to the wild. 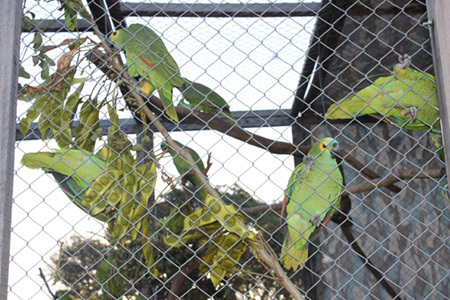 They are one of WPT's many partners in the fight against the wild bird trade.